As part of the Not Just Travel group we have a massive £1million per day buying power. This means that we can get you the very best deal available for your perfect Mauritius Holiday. Couple this with our unbeaten personal service and we think we really do offer the best value for money online. Why not put us to the test today! Mainly Mauritius/Not Just Travel deal with over 450 leading suppliers, including brands like Virgin, Kuoni, Thomas Cook and hundreds more. This means we can offer you more choice for your dream holiday than almost any other Travel Agent and we can shop around to get you the best prices available. Contact us today using the form opposite. Because we specialise in Mauritius you don’t need to, we visit regularly and know all the best Mauritius suppliers personally. We know the best places, the best value for money, the best golf courses and the best deals. So let us take all the stress out of finding you that perfect Mauritius Holiday. Fill in the form now for the best deals. Everyone that uses Mainly Mauritius will get their own Personal Travel Consultant. This means that you will always be talking to a real person (the same person every time), who will know your requirements and they will deal with all suppliers, ticketing, payments etc. on your behalf. Our Personal Travel Consultants are highly trained and specialist at getting you the best value for money holidays including any extras or upgrades that are available. No more waiting in a call centre queue – your Personal Travel Consultant will even give you their mobile number. Mauritius is a fabulous place to get married and we deal with some of the top resorts, this means that we are able to secure your wedding package at some of the best resorts in Mauritius. Please call us on 03330 116 665 to make your wedding a dream wedding. Some of the finest hotels and service await you in Mauritius and we are here to help you get the best value for money, all inclusive in Mauritius for most people is the way to go. Our trained Personal Consultants will be able to help you decide what is best for you – you just have to enjoy your holiday – now thats not difficult in Mauritius. We have had nearly 14 years of organising Luxury Honeymoons and Mauritius has some of the most breath taking romantic resorts to start your new life together. We can make planning your honeymoon stress free. Leave it to us and you will be in safe hands. We will even throw in a free VIP Lounge Pass at your departing airport so you can start your journey together in style. 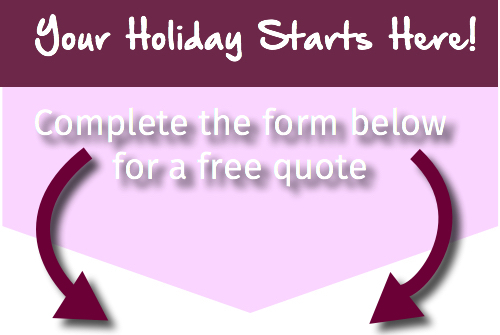 Fill in the form opposite and start your Mauritius dream honeymoon today.